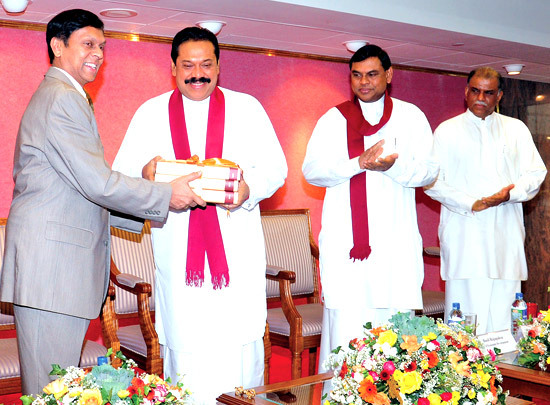 Governor Central Bank Ajith Nivaard Cabraal presents copies of the Annual Report 2010 to President Mahinda Rajapaksa. Minister of Economic Development Basil Rajapaksa and Deputy Minister Finance and Planning Geethanjana Gunawardena look on. Sri Lanka”s economy grew by an impressive 8.0 percent in 2010, reflecting a fast recovery from the setback suffered in 2009 and moved to a high and sustainable growth path. All key sectors of the economy demonstrated a commendable performance in 2010, underpinned by the peaceful domestic environment, improved investor confidence, favourable macroeconomic conditions and gradual recovery of the global economy from one of the deepest recessions in history. The Multi Finance Company will be listed on the Colombo Stock exchange before June 30, said a spokesman for the Entrust Group. The Entrust Group recently ventured into the business of financing by acquiring The Multi Finance Company Limited, a Central Bank regulated finance company headquartered in Kandy, family owned and founded 37 years ago. Export revenue will reach US$ 10 billion by the end of this year if the current export growth rate continues during the rest of the year, said Export Development Board (EDB) Chairman, Janaka Ratnayake.Revenue from exports grew 72 percent in January and 52 percent in February this year compared to the corresponding months last year. Export revenue recorded a 17 percent growth last year compared to the previous year.